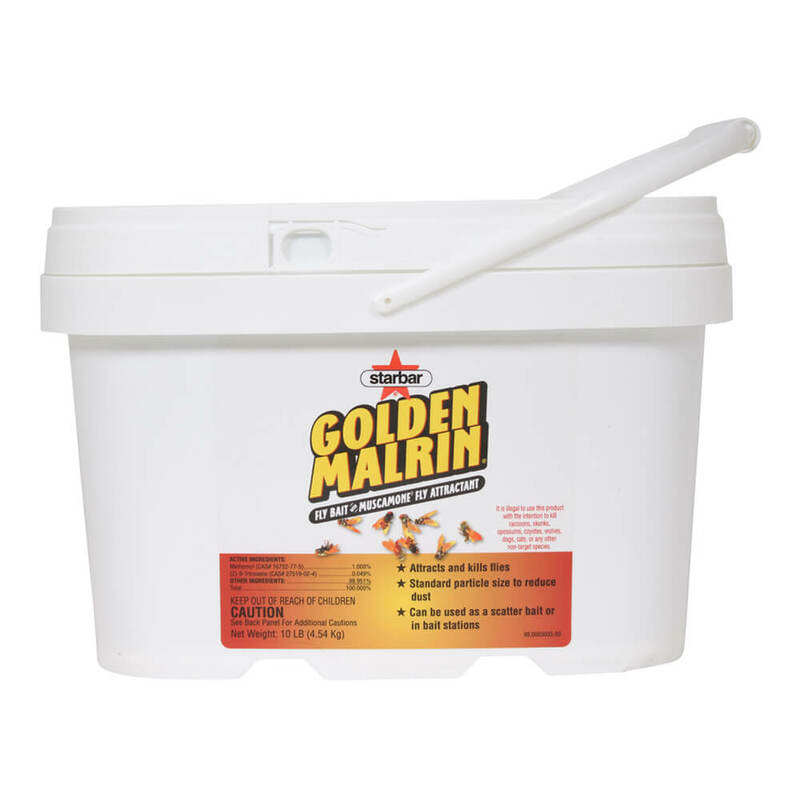 Golden Malrin Fly Bait’s two-phase action knocks out nuisance flies quickly and effectively. First, Muscamone fly attractant draws flies in. Then, as they feed on the sugar-based bait, the active ingredient, Methomyl, delivers the final blow, killing flies after they ingest it. Golden Malrin Fly Bait is highly effective in rotation with QuikStrike Fly Bait. Starbar Golden Marlin Fly Bait is a fly bait formula containing Muscamone Fly Attractant which encourages both male and female flies to remain in the treated area, thus feeding on the bait. Do not apply this product in a way that will contact workers or other persons. Only protected handlers may be in the areas during application. Do not contaminate feed and foodstuffs. Do not use the can opener used to open this product on food containers. Use a separate can opener. DO NOT APPLY WHERE POULTRY OR OTHER ANIMALS, ESPECIALLY DOGS AND YOUNG CALVES, CAN PICK IT UP OR LICK IT. Do not use in homes or where milk is processed or stored. Do not feed treated garbage. 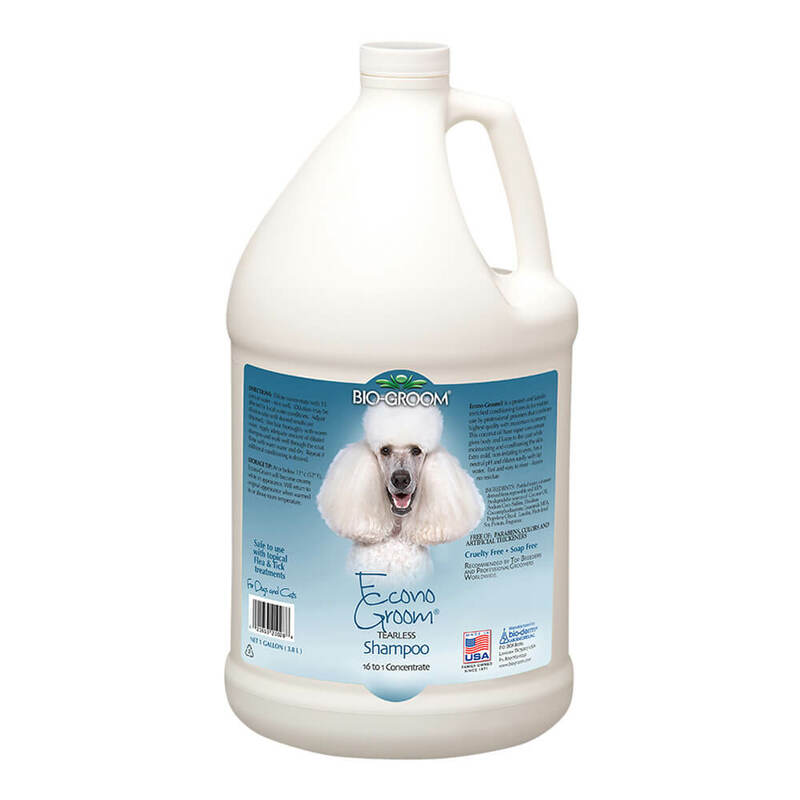 Use only in areas inaccessible to food producing and pets. 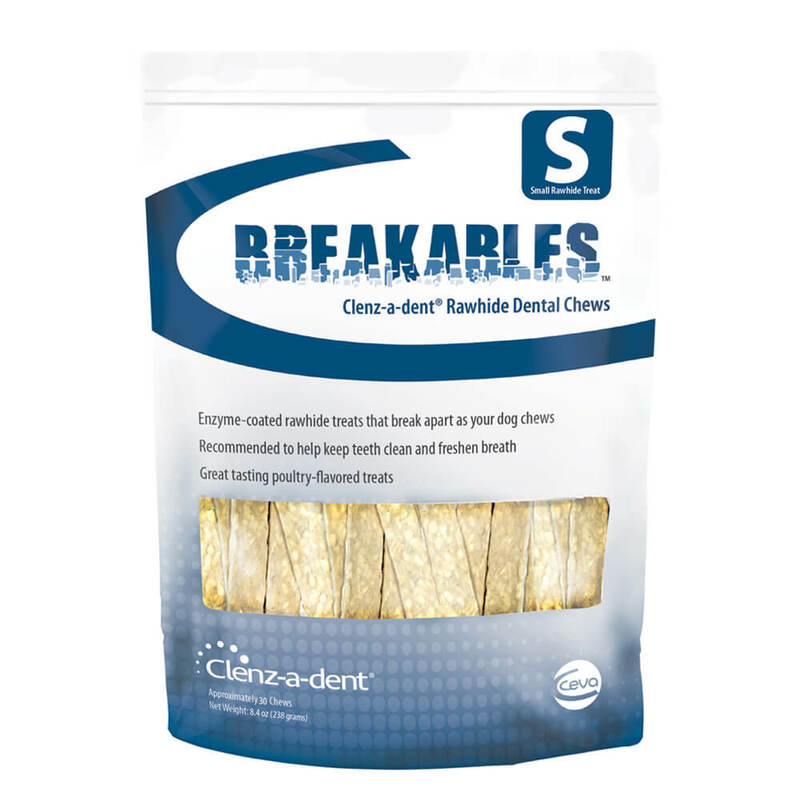 Do not use in edible product areas of food processing plants, restaurants, or other areas where food is commercially prepared or processed. Do not use in serving areas while food is present. SCATTER BAITS: Use GOLDEN MARLIN as scatter bait only around the outside of certain commercial agricultural production facilities where children or pets will not be present, specifically feedlots, broiler houses, and livestock barns. Bait may be used on walkways in caged layer houses. GOLDEN MARLIN may aso be used as a scatter bait around the outside of the following commercial facilities; canneries, beverage plants, meat and poultry processing plants, food processing plants, and commercial refuse dumpsters which are fenced or otherwise enclosed. Do not use around commercial dumpters which ar not enclosed. Do not use around dumpsters in residential settings. To avoid contact, distribute bait directly from container or other device at the rate of approximately 1/4 lb (4 oz) per 500 sq ft of fly feeding area. Reapply on a daily basis to maintain control, when the fly population is large enough to consume 4 oz of GOLDEN MARLIN within a 500 sq ft area in 1 day. However, when fly populations decrease, consumption of the bait also decreases, so reapply every 2-3 days to main adequate fly control. DO NOT PUT IN PILES. Keep 1 to 2 inch intervals between particles. DO NOT ALLOW FOOD PRODUCING ANIMALS OR PETS TO HAVE ACCESS TO TREATEAD AREAS. 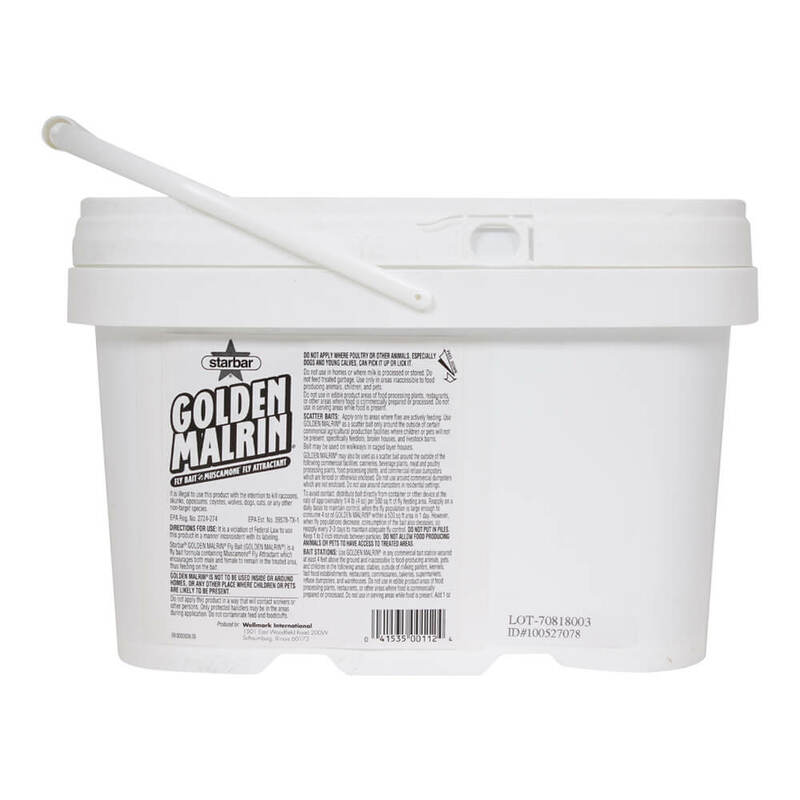 BAIT STATIONS: Use GOLDEN MARLIN in any commercial bait station secured at least 4 ft above the ground and inaccessible to food-producing animals, pets, and children in the following areas: stables, outside of milking parlors, kennels, fast food establishments, restaurants, commissaries, bakeris, supermarkets, refuse dumpsters, and warehouses. Do not use in edible product areas of food processing plants, restaurants, or other areas where food is commercially prepared or processed. Do not use in serving areas while food is present. Add 1 oz of product to each of 4 bait stations and space the 4 stations as equally as possible within a 500 sq ft treatment area. Add product to replace amount consumed before the station is empty; do not exceed 1 oz of GOLDEN MARLIN per station at any time. 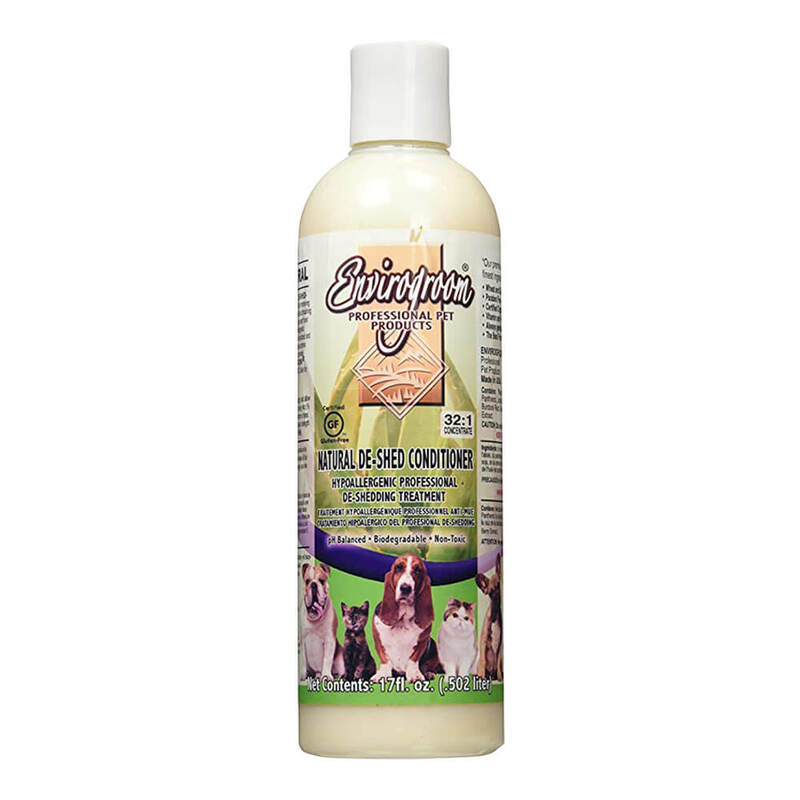 Reapply on a daily basis to maintain control, when the fly population is large enough to consume 4 oz of GOLDEN MARLIN within a 500 sq ft area in 1 day. However, when fly populations decrease, consumption of the bait also decreases, so reapply eery 2-3 days to maintain adequate fly control. Replace bait station if physically damaged. CAUTION: Harmful if swallowed or absorbed through the skin. Avoid contact with skin, eyes, or clothing. Do not allow children or pets into treated areas.